The Controller Alpha is a large size quad set with a Ride Number of 5.7. 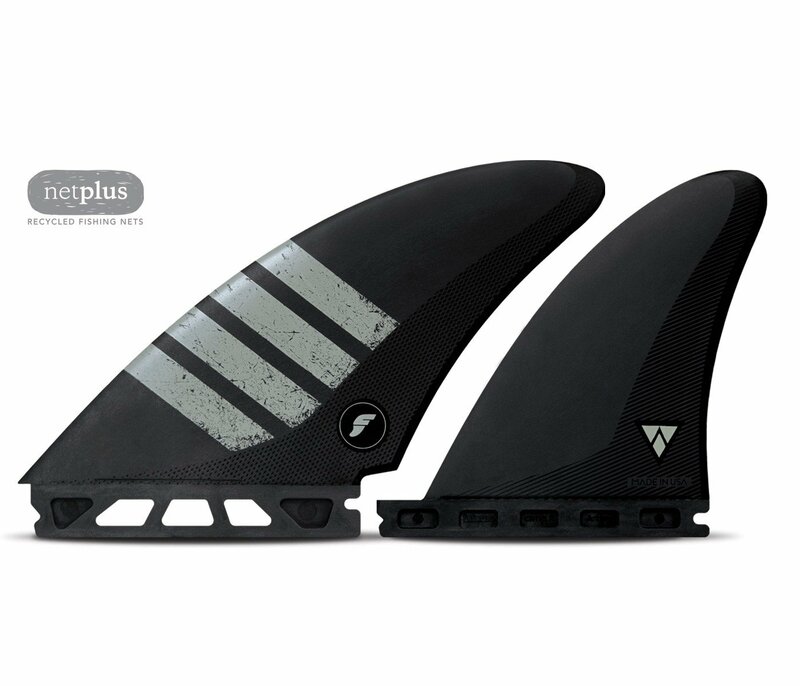 Designed specifically for the classic, wide-tailed retro board the Alpha Controller is effectively a split keel and offers a unique blend of twin and quad characteristics. The C6 material, V2 foil and large surface area create both drive and control, while the upright rear template mixes in a skatey feel to the set as a whole. All Alpha products are designed and manufactured exclusively in Huntington Beach, Ca USA.